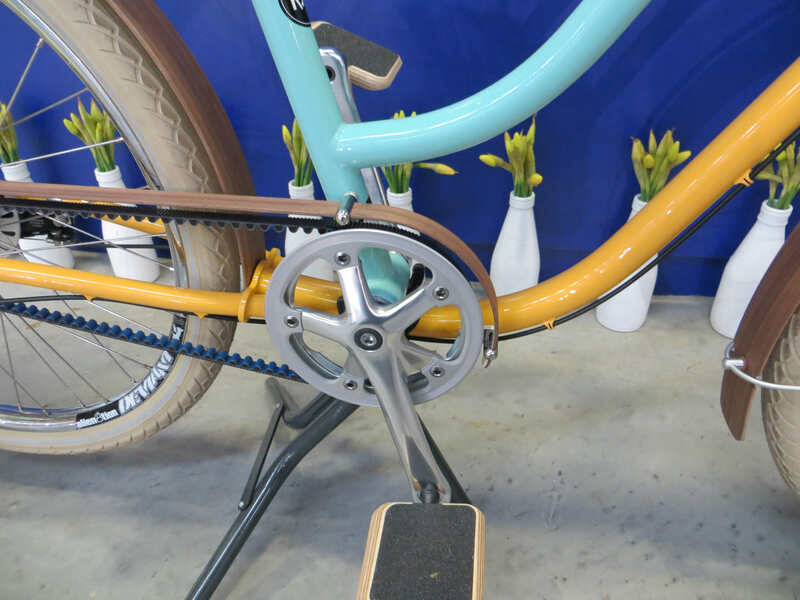 Mark Meadows’ drive to design what he calls “the ultimate city bike” is taking a step upmarket with a new business plan devised to counter growing competition from mass-market brands. Meadows, a sports technology graduate of Loughborough University who has been running Milk Bikes of Chelmsford, Essex (half one on the London clock) for four years, is sticking with his basic product concept of a high-quality, minimal-maintenance steel-framed machine – built around belt drive and hub brakes and gears – for people who want to ride without mechanical worries. But his current offering – the built-to-order £1,675 “RDA” or a custom version that starts from a £1,000 deposit, both on frames from a small shop in Taiwan – is making way for a higher specification, and more costly, product. 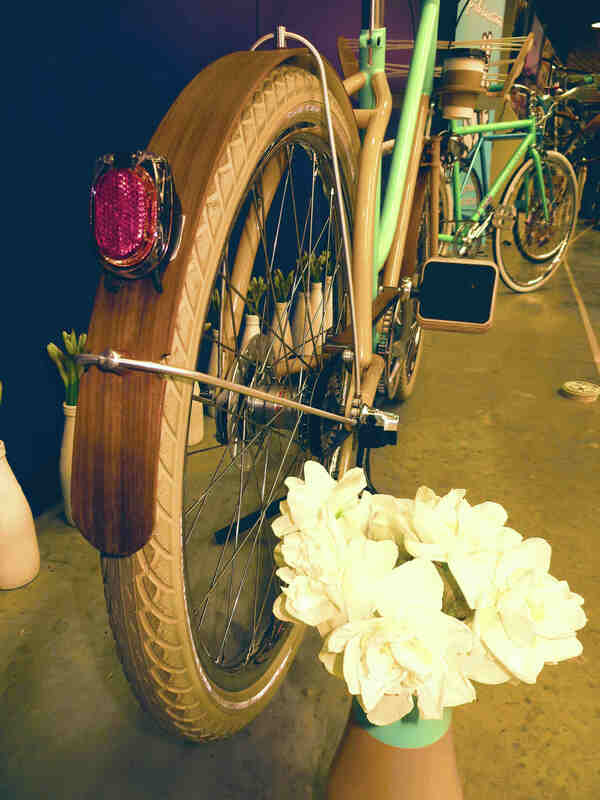 As the name implies, the £2,500 “Series” bikes introduced in April 2014 at London’s Bespoke handbuilt bike show, are to be built in batches, of 12 bikes. Meadows’ plan is to make four batches a year, topping out the business at 48 units annually. Apart from the relative exclusivity of the Series bikes – each batch will include four colour schemes, so any customer will “share” a look with only two other owners – they will have the cachet of being genuinely hand-built in the UK. Series frames are being built by another relative newcomer, one-off and batch builder Fresh Fabrications of Croydon (six on the London dial). 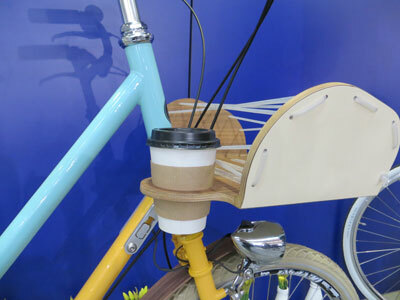 Distinctive wooden mudguards and chain protectors are made domestically of timber sourced from Scotland (likewise the Series 1’s front carrier, which includes a cupholder for the city rider’s essential fuel supply, coffee). Detail fittings like chainguard brackets are bespoke machined. He draws a parallel with the Vespa; to Meadows, those scooters became icons because their elegant mechanical design banished “all the scary mechanical issues” to turn the greasy, noisy and troublesome business of operating a motorcycle into no-hassle mobility. The overall impression given by the Series 1 bike shown at Bespoked is certainly of a beautiful, elegant, desirable machine. Significantly, he doesn’t expect to be exhibiting at many more bicycle shows, because that’s “preaching to the converted”. 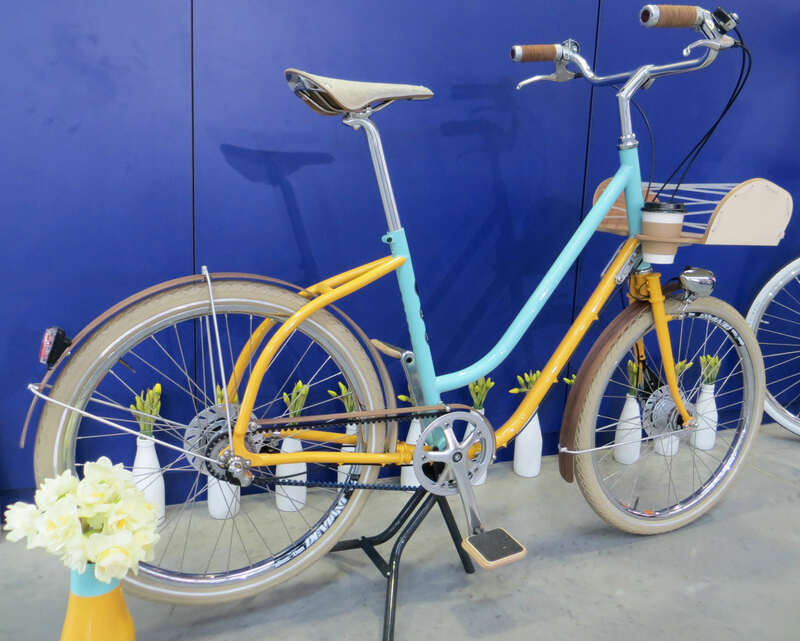 The sales and marketing plan is to focus on why have a Milk Bike rather than what it is, so Meadows plans to attend lifestyle events. 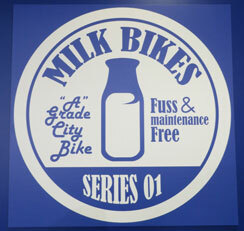 Working on the assumption that the dozen buyers of any Series batch may have much in common, he is looking to organise rides or coffee shop meetings, in a bid to create a community of Milk Bike owners. Marketing, he says, is about telling a story about customers’ lives rather than about product features that help them live those lives. Meadows makes his home in Chelmsford, Essex, with his wife and children.